The hunt to find Britain’s best amateur sewer is back. 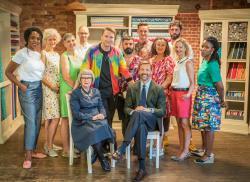 10 of the best from all walks of life, including an engineer, a grandmother and an ex-soldier enter The Great British Sewing Bee to pit their sewing skills against each other. 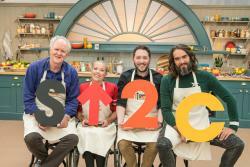 Brand new host Joe Lycett welcomes the sewers to series five of this talent search, which returns to an old tannery loft in Bermondsey, South London. Joe is joined by judges: Savile Row tailor, Patrick Grant and Esme Young, film costume maker and senior lecturer at Central St. Martin's Fashion College. The judges have some difficult challenges up their sleeves and over the 8 weeks the sewers must tackle tricky tailoring, outfits for canine companions, iconic 70s fashion and exquisite dresses for every occasion.